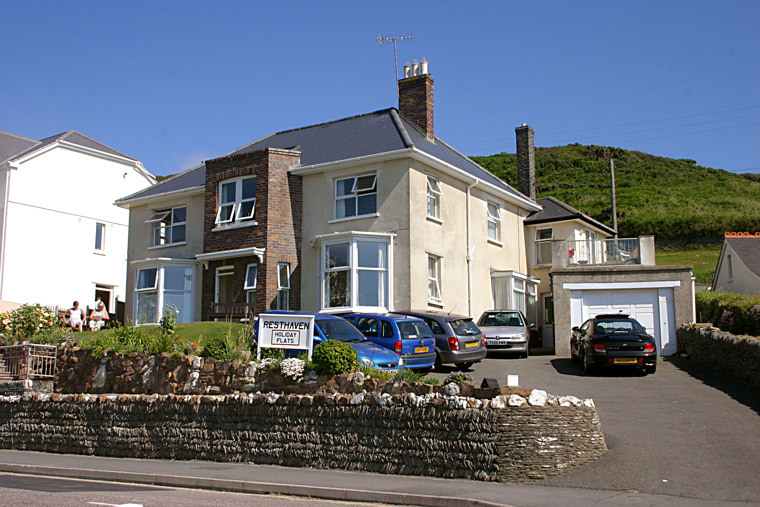 Resthaven is a detached house situated on the sea front, with magnificent views of the glorious Devon coastline, the headlands of Morte and Hartland with Lundy Island on the horizon. The house is just accross the road from the lovely Combesgate beach which is connected to the celebrated Barricane beach at low tide. 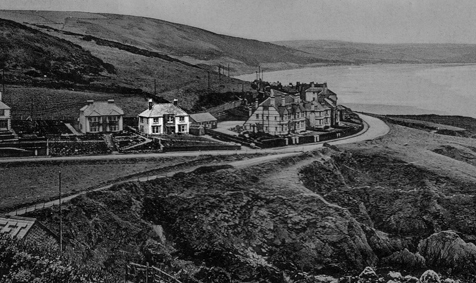 It is a short distance away from the golden expanse of Woolacombe Sands, a blue flag beach since 1992. A compact shopping centre is a short stroll from the house where all needs are catered for. The shopping centres of Ilfracombe and Barnstaple can be reached within 30 minutes by car, or by regular bus services if you don't feel like driving. Resthaven was built and occupied in 1932 by Bill Watts, it was run as a holiday boarding house until 1949. In 1936 Bill died, leaving control of the business to his wife, Florence. This forced the change to holiday flats in 1950 when providing board became too much for her, due to ill health. Florence retired in 1975, at which point her son Brian took over the management of the business; he has continued the running until the present day, with the help of family and friends. North Devon has many Theme Parks, beauty spots and lovely walks. Once bookings are confirmed deposits cannot be refunded under any circumstances. The tenant is also liable for the whole rent in case of cancellation or non-arrival. As we are unable to insure against these risks, we strongly advise you to insure against this liability, particularly where young children (who are vulnerable to last minute illness) are involved. Most insurance companies give cover and premiums are very modest. There is no extra charge for the hot water supply or lighting, but the supply of electricity for other equipment is on a £1.00 slot meter. The flats are fully equipped except for bed linen and towels. Duvets on all beds. Free laundry machines available. Free, off road car parking, has five car parking spaces. Terms quoted are for number of tenants stated; extras by arrangement only. Saturday 1:00 PM to Saturday 10:00 AM booking in season. Payment by cheque or cash within three days of arrival.